Are you craving a refreshing Summer time treat? This Copy Cat Tropical Smoothie Blimey Limey smoothie is just the thing. 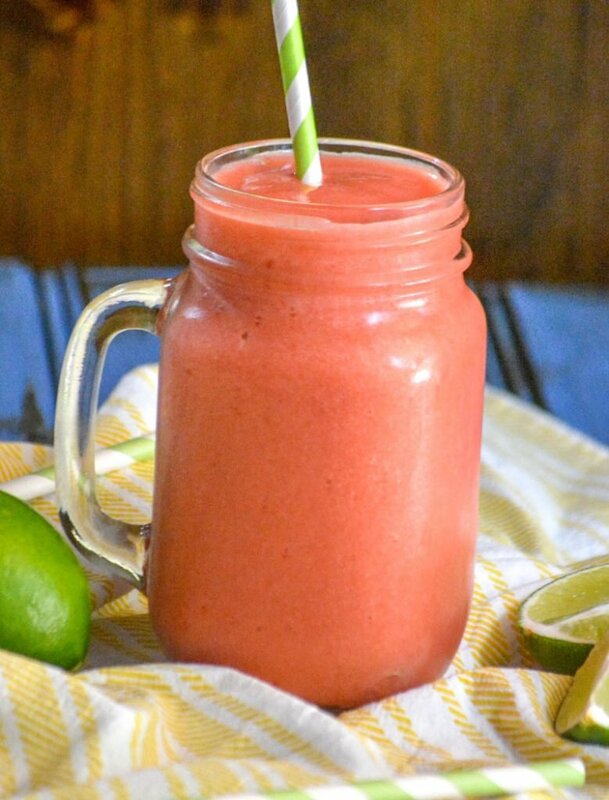 A wonderful combination of strawberry, pineapple, orange, and lime- this is a refreshing beverage sure to quench any thirst. 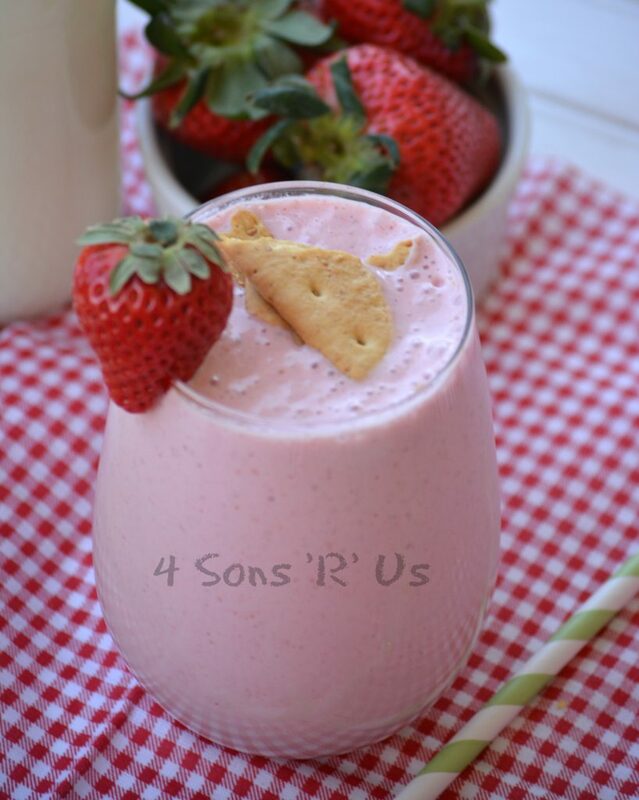 Creamy, dreamy, and moderately healthy– this Strawberry Cheesecake Protein Milkshake is everything the name implies. Whether it’s breakfast, snack time or even a light lunch this shake is satisfyingly filling and refreshing. Gah, kids grow so fast! I look at the sons at least ten different times on any given day and find myself taken aback. They look so… grown. When did that happen? Wasn’t it just yesterday even son # 1 still need his tears wiped away and boo boos kissed by Mom? I’m always surprised by how fast they grow. I’m thinking that won’t ever change, no matter how old they get or how much they eventually tower over their Dad & I. That being said, feeding said growing boys has proved quite the challenge over the past few years. When they enter the ‘hungry phase’ (although it’s really not a stage since the hubs hasn’t left it behind yet) it strike immediately. One day they will have been eating a nice normal portion of food, and the next, next, next, and so on after that…they’ve become walking, talking garbage disposals eating us out of house and home and peppering the rest of my days with hungry pleas for more. The only feasible solution that we’ve found is protein. Protein, protein, protein. The fuel my 5 hungry guys need to stay full and, incidentally, focused. I’ve gotten pretty creative at finding affordable ways to incorporate more of it into their meals snacks, and even desserts, to help keep their bellies and my bank account as full as possible. Knowing the struggle, as I’m sure every other parent has juggled before, I knew this little ditty was going to be taking a test run. Packed with a whopping 28 grams of protein (yes, you read that right) I was fairly confident they’d guzzle it down without a second thought since all that protein was hidden under layers of chocolate and peanut butter. Two things the sons never turn down. And why would they when they combine so beautifully here. 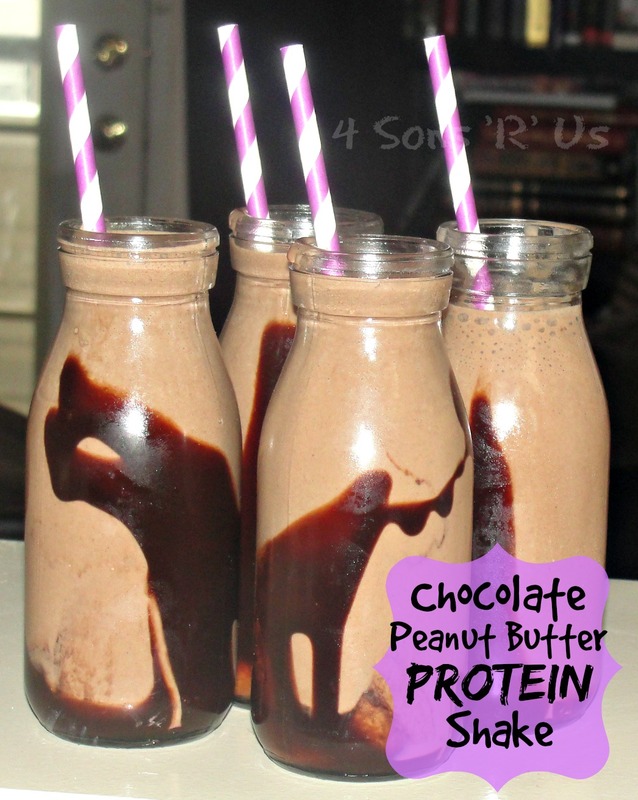 An easy, healthy peanut butter chocolate smoothie tasting just like a peanut butter cup. What’s a Mom, or anyone really, not to love about that?! 1. Put all of the ingredients into the blender, in the order listed, and blend on high until thick and smooth. I would start with only 2 tbsp of cocoa powder, blend, and then add 1 more for a stronger chocolate taste. 2. You may need to stop and stir/scrape down the sides of the blender a few times. 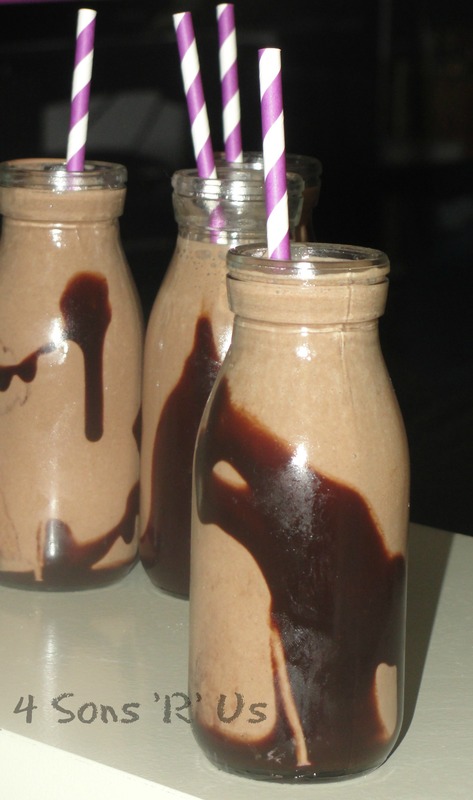 Drizzle glass with 1 tsp of chocolate syrup (optional), hold the glass up and let it swirl around inside for a bit, pour your shake in, and enjoy! 3. If you prefer a less sweet smoothie, you may leave out the honey. Add more peanut butter for a stronger peanut butter taste. Add more milk to make the smoothie thinner, if desired. Add 1 cup of your favorite greens for added nutrition.